The P-touch D450 gives you the ability to create durable fade-proof labels using both the easy-to-us.. In the modern business climate, companies today are striving to differentiate themselves from the co..
PocketJet offers a true A4 mobile solution. At just 25.5 cm wide and weighing 473g, PocketJet fits ..
300 DPI, USB, IRDA & Bluetooth Thermal printer - 6PPMThese compact mobile printers offer a rugged an..
PocketJet printers have become increasingly popular in the emergency services for a variety of appli..
Wireless PocketJet 673 A4 Mobile PrinterThis compact mobile printer offers wireless connectivity and.. This compact mobile printer offers a rugged and durable ''in the field'' mobile printing solution f.. The Brother PJ-722 A4 portable thermal printer is designed to take business productivity to the nex.. The Brother PJ-723 A4 portable thermal printer enhances business productivity and customer satisfac.. The Brother PJ-762 A4 portable thermal printer enables your business to offer unmatched customer se.. The Brother PJ-763 A4 portable thermal printer provides your mobile workers with the tools to imple..
Printing directly from mobile devices via Bluetooth, the Brother PJ-763MFi A4 portable thermal prin..
Printing directly from mobile devices via Wi-Fi, the Brother PJ-773 A4 portable thermal printer pro..
Brothers PT-D600 professional desktop labeller with automatic cutter, one touch keys to quickly acce.. The PT-9700PC desktop barcode label printer prints truly laminated labels on demand, and is designed.. Brother PT-9700PC and PT-9800PCN desktop barcode and label printers produce high-quality laminated l..
Brothers PT-D450 professional desktop labeller with one touch keys to quickly 14 fonts, over 600 sym..
Offering highly durable labels at speeds of up to 60mm/secondTake your labelling to a whole new lev.. The PT-E300VP is an industrial labelling machine for electrical and datacom industryFast print speed..
For electrical/datacom (heat shrink tube compatible) up to 24mm TZE tape.. Brother PT-P700 is an easy-to-use, full-featured label maker. 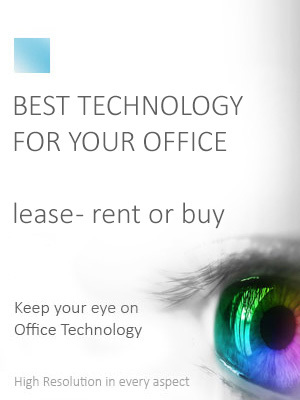 It's perfect for multi-user offices lo.. Your new P-Touch P700 use P-Touch Editor Lite Software, which is already installed in your P-Touch |..
Wireless connection and NFC- 3.5-24mm TZE tape model..
Offering highly durable labels and featuring wired/wireless connectivity and optional Touch Panel Di.. Brother QL-1050 accepts labels up to 4 Inch wide and has a long-life auto cutter making it perfect f.. The indispensable Network Ready QL-1060N Label printerNetwork Ready PC & Mac - Prints up to 102mm wi.. Brother ql-650td label printer can operate both as a stand alone or pc connected model. It also has .. Introducing the QL-700 | Brothers fastest label printer of up to 93 labels/min will ensure you are a.. Brother's QL-820NWB professional label printer features print speeds of up to 110 labels/min, Blueto..
Increase staff productivity and customer satisfaction at the same time with Brother’s RJ-2030 Mobil..
Move your business forward with the RJ-2050 Mobile Receipt Printer – the reliable and very connecte..
From retail and logistics to warehouse operations and workers out in the field, Brother’s RJ-2140 M..
From shelf-edge labels, customer receipts and shipping labels to warning notices and delivery recei..
RJ mobile printers are Brother’s most rugged and fastest, printing at up to 127 mm/sec.Designed wit.. Product not yet available – coming soon. Features:.. Brother TD-2020 is the most compact and fastest 2.2 Inch wide desktop thermal printers for retail ap.. 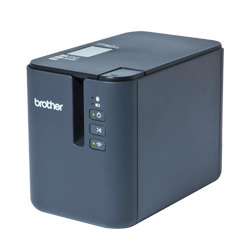 Brother TD-2120 is the most compact and fastest 2.2 Inch wide desktop thermal printers for retail ap.. Brother TD-4000 desktop bar code printer is a cost-effective way to print out labels, receipts, and .. Brother TD-4100N desktop bar code printer is a cost-effective way to print out labels, receipts, and..